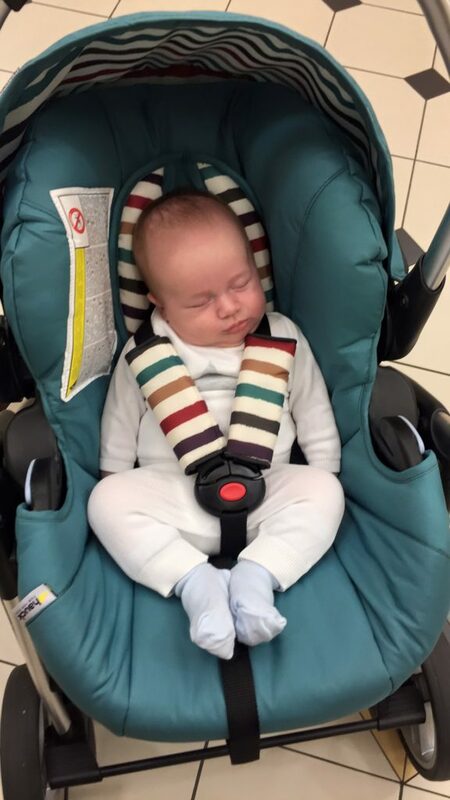 Before Dexter was born we purchased a gorgeous Hauck travel system which came with a infant car seat, carry cot and pushchair. I loved the colour of our infant car seat but did not enjoy lugging it in and out of the car; Dexter has always been a big and heavy baby. By the time he was nine months old it became apparent that we were on the market for a new car seat. At this point Dex weighed more than 9kg and was super long. I wanted to purchase one which would last a long time and not just a couple of years. I also wanted a cool and funky design and of course Dexter’s safety was paramount as we do a lot of driving. I settled on the Cossato Hubbub which fits babies who are over 9kg all the way up until they are twelve years old, which for me meant it was a great investment at only £170. It came with one caveat though: it was a forward facing car seat. Now, most of the people I know with toddlers the same age as Dexter still rear face and probably will for as long as possible; I totally understand that. 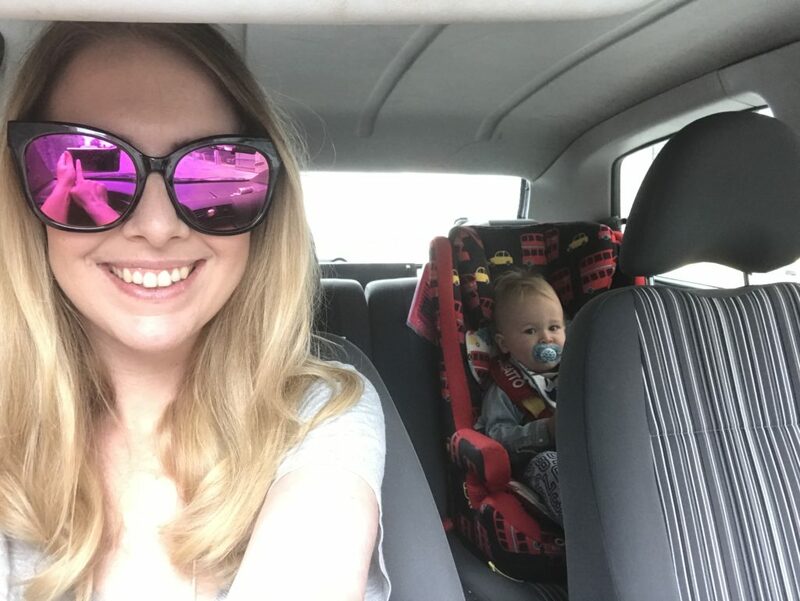 There are so many benefits to rear facing, the biggest being that if you are in a head on collision, the chances of your baby suffering a neck injury such as whiplash is hugely less likely as the force of the impact will be spread onto the back of the car seat as opposed to on the neck as the child is thrown forward and restrained by the harness in a forward facing seat. Despite this, we still chose to forward face. Dexter spends a lot of time in the car. 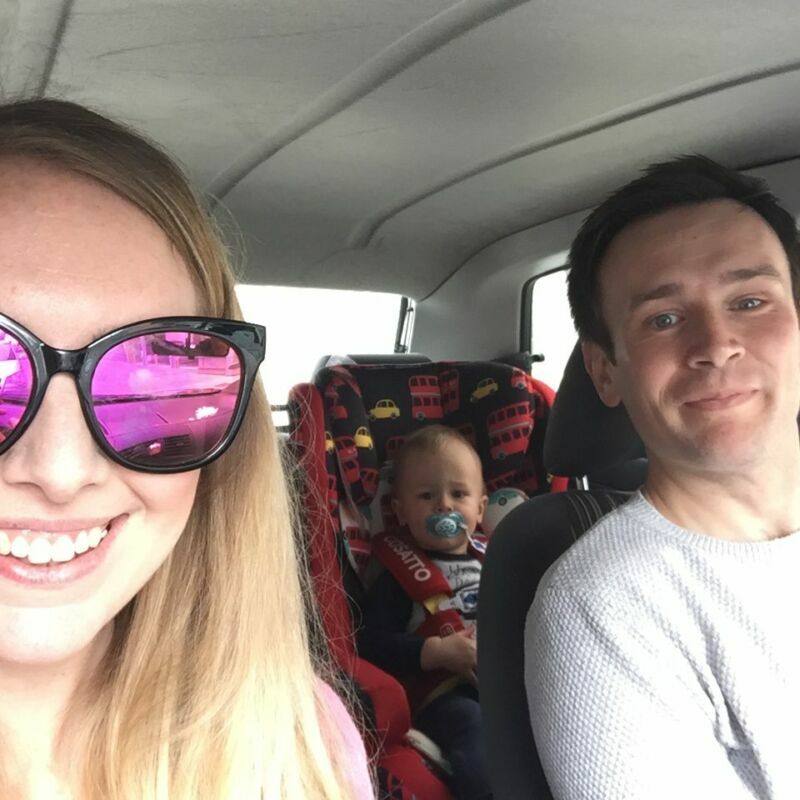 Our commute to the childminder’s house takes between forty to sixty minutes each way four days a week and on the weekends we often travel to Wales to see family or friends. I reckon on an average week, Dexter clocks up around seven hours in the car. When he was rear facing we had a mirror fixed to the head rest so I could see him, but he would scream and scream every time we drove anywhere making driving extremely difficult. I don’t know if it was because he couldn’t see anything or because he couldn’t see me, but on journeys to Wales I would hope and pray he would sleep otherwise the journey was unbearable. I’d find it hard to concentrate due to his high pitched wails and was so scared I’d be involved in an accident. I didn’t actually know if he would be any better forward facing before I bought the car seat, but thankfully my intuition was right and ever since he’s been forward facing he rarely cries in the car. He adores looking out of the window looking for lorries and cranes and most importantly he can see his Mama and point to the radio when he wants it turning up. He no longer needs a dummy in the car which makes me feel better about his teeth and he copes really well with our commute and any long journey we make to Wales. Naturally I do worry at times about having an accident and thinking he’s not as protected as he could be if I’d chosen to rear face, but I also think about how awful our commute would be each morning with him screeching and me trying to navigate the busy A59 out of Liverpool which is dicey at the best of times. I also worry about being judged by other Mums as I do know the majority choose to rear face. But I just remind myself that forward facing car seats have all passed rigorous safety tests and the most important thing with any car seat is that your child is secure and the seat has been fitted correctly. What I love about our Cossato Hubbub is the five point safety harness which keeps Dexter safe, snug and protected. Would I choose differently if I had my time again? Probably not if I had a toddler with the same temperament as Dex, but if I had a more laid back baby next time then possibly I would choose to rear face. As with every parenting conundrum, each child and each circumstance is completely different. What’s important is that you make the right decision for you and your family. I think every parent has to balance up about a million factors when it comes to car seat choices; the risks, the benefits, the costs etc. We choose to rear-face and whilst that’s the right choice for us at the moment, I know it won’t be forever and it’s not for everyone. Great to hear someone explain so eloquently about how they made their decision and why!